I have a confession. I saw Julia Engle of Gal Meets Glam in a J.Crew top and it took less than 10 minutes before I purchased it. This poplin pullover quickly became a wardrobe staple while simultaneously solidifying my belief in the power of influencer marketing. Among many brands, J.Crew realized early on that forming a long-term partnership with Julia would result in not only sales but authentic content. She has pages of posts that are either dedicated to J.Crew or feature some of their products. Long-term influencer marketing partnerships are an excellent way to capitalize on a relationship because they provide consistent fresh content, brand awareness and SEO key word relevance. Influencer marketing is a very popular form of getting product in front of consumers, and is quickly becoming an increasingly crowded and competitive space where brands can shine. What used to be a sub-strategy to support brand awareness has now become a standalone strategy for marketers. This means more and more brands are entering the influencer space and competing for room on the content calendars of the most engaging influencers. Just how crowded is the space getting? Forbes reported that 84% of marketers planned on working with influencers in 2017. 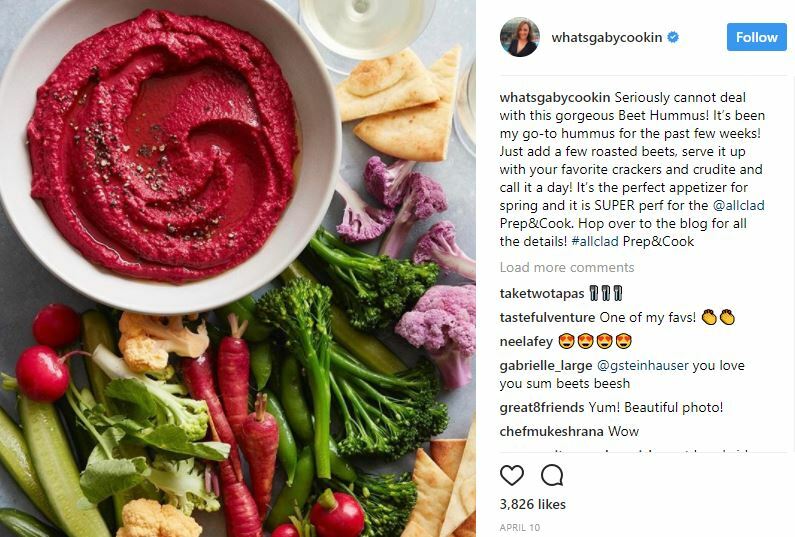 5W partnered with Gabi Dalkin on a series of posts related to the All Clad Prep & Cook launch, which resulted in a total of 1.7 MM impressions and 19K+ engagements on social. The central audience that traditional marketing relied on for decades no longer exists. It’s been fragmented as the average consumer has become increasingly unique. Additionally, marketers are struggling to define what a successful collaboration with an influencer means. Is it a boost in followers? Spike in sales? Or eyeballs on the product in front of a specific audience? All of these goals are important and influencer marketing can help achieve them. Entering into a long-term collaboration has important benefits – content creation, brand awareness, and SEO key word relevance. Content is king these days, however it can takes weeks, or longer, to produce engaging content when considering the time spent on the brainstorming, researching, drafting and approval processes. Hiring an influencer allows the ability to tap the intangible of authentic creativity, and a long-term partnership gives you continued access to that creativity over time. When each influencer program comes to an end, catalog all of the content to create a library of vetted materials that can be repurposed when the internal content workflow backs up. Hiring an influencer for the long-term also repeatedly exposes their audience to your brand. Seeing their favorite influencer associated with your brand repeatedly will help you stand out among the one off collaborations that may just be a blip on the content radar. 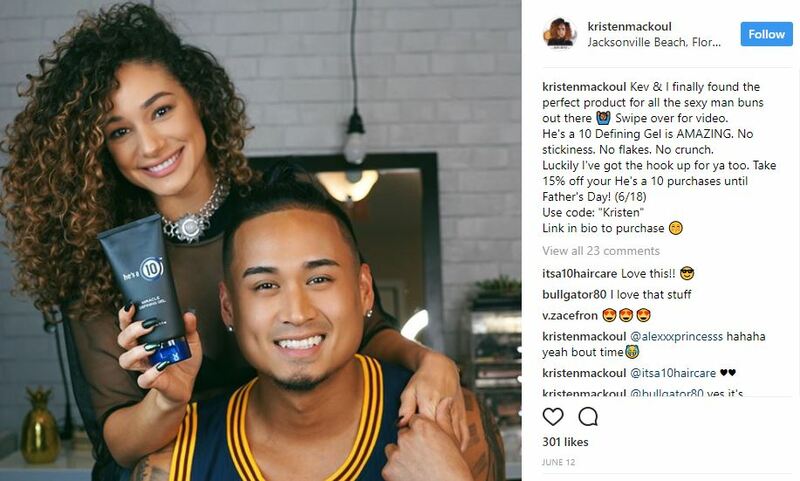 The brand gains more credibility within an influencer’s dedicated audience by having repeated exposure, promoting the brand in a natural, ongoing manner as opposed to one to five one-off posts. Lastly, having an evergreen and authentic source write relevant copy on their blog or YouTube channel will not only help optimize SEO but deliver extended results over time. 5W partnered with Joy Miles in a yearlong exclusive partnership, Joy has participated in 4 campaigns promoting a variety of T-fal cookware. There are also a few concerns that resonate when entering a long-term commitment. Some of those most commonly voiced are the lack of creative control over influencer content, concerns about the quality of the content created and pricing. Consider hiring an influencer almost like hiring a creative consultant, they know what will resonate with their followers best, and it is in their best interest to successfully create content their followers want. Dictating how and what an influencer should focus on will come off as insincere to followers. In regards to the quality of content, influencers are not professionals, lower quality content is part of what they offer. It’s relatable, unique and created by someone with a personality, voice and artistic point of view. Lastly, pricing for influencers is increasing, and sticker shock is real. But this is an upfront cost that will have lasting results in the form of content and links. Most of the social currency that online influencers have is in the form of trust and an exclusive, long-term partnership speaks to that trust because it shows just how much an influencer is willing to invest in a brand. The whole object of effective social media and influencer marketing is to humanize the brand and make it more genuine. Nothing serves to make a brand faceless more than pretending that no actual humans went into making all of their content. Influencer and stylist Kristen Mackoul is a longtime passionate fan of client It’s a 10 Haircare, making her a perfect fit for participating in a multitude of brand influencer programming.